‘He’s gotten to know every slice of that agency’: Who is Steve Poftak, the next GM of the MBTA? 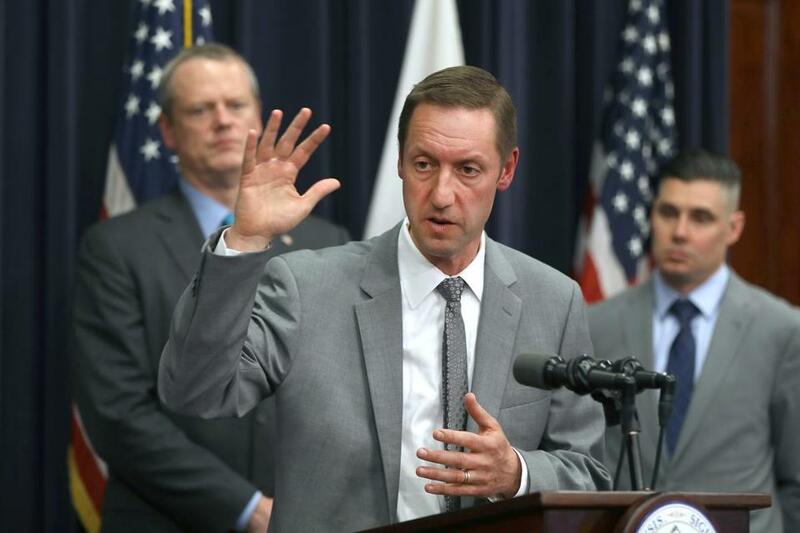 Steve Poftak has served on the oversight board of the T.
Little more than a year ago the Massachusetts Bay Transportation Authority celebrated the selection of a general manager with no public transit experience as the fresh set of eyes needed to bring new rigor to a massive bureaucracy. But this week that candidate, Luis Ramirez, washed out after barely 15 months. And his replacement couldn’t be more different: a public policy veteran who has spent years thinking and writing about transit and public administration, serves on the T’s oversight board, and even briefly ran the agency as interim GM. Now, Steve Poftak, a 48-year-old Roslindale resident who runs an institute at Harvard University, will see whether his knowledge and advocacy can transfer to better service from an agency racing to replace aging equipment as restless riders grow increasingly vocal about middling performance and daily delays. Maybe the leadership of an academic wonk won’t enthuse riders who just want trains and buses to show up on time, or stations to look less cruddy, but some of the issues that Poftak has labored over show an attention to detail they might appreciate. On the T’s oversight board, he has pressed managers to more quickly adapt bus routes and schedules to Boston’s changing demographics, and questioned whether travel times on a new commuter rail line could be made quicker to lure drivers out of their cars. He has also been an early adopter of some positions that took the government years to embrace but in retrospect look like the obvious thing to do. In 2008, he wrote an op-ed in the Globe calling on the state to eliminate tollbooths and switch to electronic tolling — four years before the Deval Patrick administration announced plans to do so. In 2011, he said the state should rethink the way it hires a commuter rail operator in order to get more investment in the infrastructure, an idea officials are now considering as the current contract with train operator Keolis nears an end. Poftak, who begins the new job on Jan. 1, declined to be interviewed. But his writings show a mindset that aligns less with the expansive dreams of transit advocates and more with the wary support of fiscal conservatives like his fellow Pioneer alum, Governor Charlie Baker. Money, he wrote in a 2011 Globe op-ed, should be first spent improving what we’ve already got, not adding to it. On the MBTA board, Poftak has pressed officials to ensure the agency is spending enough on equipment that riders will eventually notice improvements. He has also burrowed into the bureaucratic weeds to ensure the agency has good management processes in place for big projects, and the right employees to make sure they all get done. Poftak has written in favor of improving existing systems, rather than creating new ones. Transportation Secretary Stephanie Pollack this week cited that work in explaining Poftak’s selection, specifically to oversee the five-year, $8 billion spending plan to replace equipment like the aging signals, and new fare technology that will speed boarding and make payment more convenient. But Ramirez was touted as having similar skills. When he was hired, transportation officials cited his experience overseeing major infrastructure projects while running an energy-services company in Texas. In announcing his departure after little more than a year, state officials implied the switch was about personnel, not policy, saying Poftak was better equipped to carry out Baker’s spending plan. Unlike Ramirez, Poftak is familiar with the political players in Boston, having advised regional leaders as executive director at Harvard’s Rappaport Institute for Greater Boston. 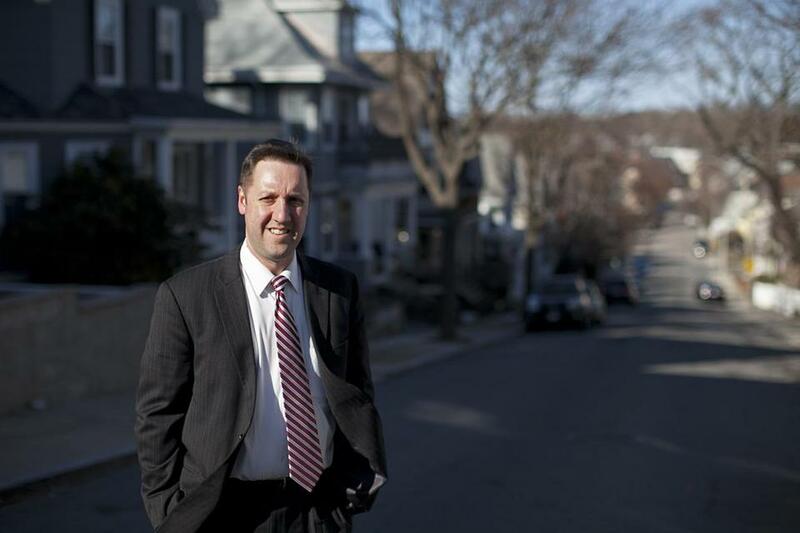 He also worked in the Romney administration, served on Baker’s transition team after the 2014 election, and was praised this week by Boston Mayor Martin J. Walsh, whom Poftak advised on a task force about the minimum wage. Like Ramirez, Poftak’s three-year contract pays a base salary of $320,000, with the opportunity for bonuses. The T has not been a picture of stability in recent years. Poftak is the fifth general manager since Baker took office. Richard Davey, who served as both T general manager and transportation secretary for Patrick, said the job has changed under Baker. Pollack is more deeply involved in the T than most transportation secretaries, while daily operations are run by deputy general manager Jeff Gonneville, a longtime veteran of the system. One possible shortcoming on Poftak’s resume is his lack of experience running an organization as large or complex as the T.
His time as interim general manager in 2017 did not leave much of a track record. Poftak shelved a plan to improve commuter rail Wi-Fi amid pressure from homeowners along the rail lines, a decision that some riders have lamented. He started negotiations with the union for bus mechanics, later completed by Ramirez, aimed at slowing wage growth. But Vartabedian said no general manager can succeed without more funding beyond even what the Baker administration has proposed. “The bottom line is that the MBTA requires greater investments to ever be fully functional,” he said. From his perch on the T’s oversight board, Poftak has noted the T has historically struggled to even spend the money it has on hand for infrastructure. Accountability, in his view, is just as important as money in an agency that has spent billions over the years but often neglected key pieces of infrastructure.